Marissa Kivi is an Applied and Computational Mathematics and Statistics senior. She joined the McLachlan lab as a freshman in the fall of 2015 and began by entering tree information from the 1800s for our PalEON project. 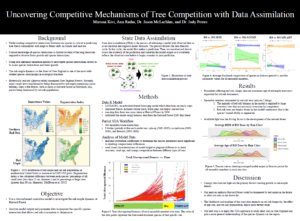 In the fall of 2017, Marissa took on more responsibility since then has been working in collaboration with Ann Raiho to develop an ensemble-based state data assimilation analysis at Harvard Forest via the LINKAGES forest-gap model. This data assimilation analysis be applied to other sites in the northeast in the upcoming months. On October 25, Marissa presented a poster of her work at Notre Dame’s College of Science Fall Undergraduate Research Fair (FURF) and she will present her work this December at the American Geophysical Union (AGU) meeting in Washington, D.C. In October, Marissa traveled to Boston and Harvard Forest to meet with PalEON collaborators to discuss her data-assimilation project. L to R: Ann and Marissa at the top of the flux tower at Harvard Forest; forest fun; meeting up with Mike Dietze at Boston University; getting ready to present to collaborators at Harvard Forest. 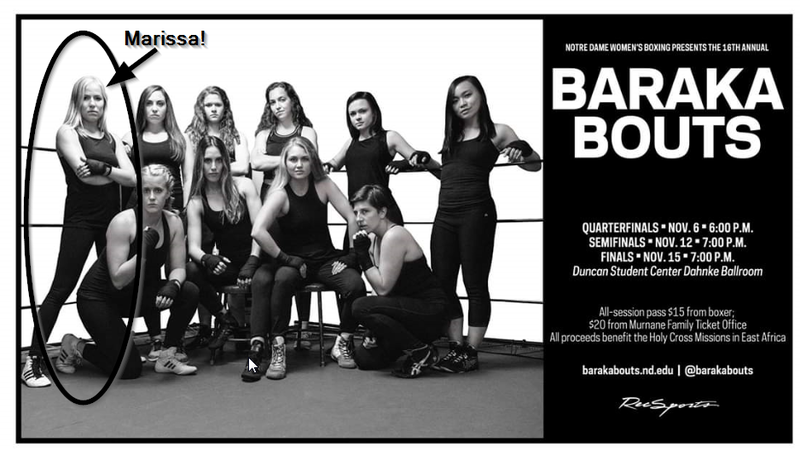 In addition to the outstanding work Marissa has done with her research, she is also an amazing boxer participating in Notre Dame’s Baraka Bouts since her Freshman year. This year Marissa was the President of Baraka Bouts, an athletics club that is committed to service and education and raising funds for the Holy Cross Missions in East Africa. In her 4 years of participating in Baraka Bouts, Marissa “the Minnesota Monster” has only lost 1 match. Marissa was once again the champ in the 2018 Finals round. You can see Marissa’s match which starts at time 1:35 in the video. She is the competitor in Gold. We are proud of Marissa’s work in the lab and in the ring!